Gabriele Paparo needed a lot of patience with me. After my holiday in 2005 I had to answer about 300 emails and could not find the time to make a page about his full face mask and modifications. Now, December 2005 ( shame on me) finally that page is here! 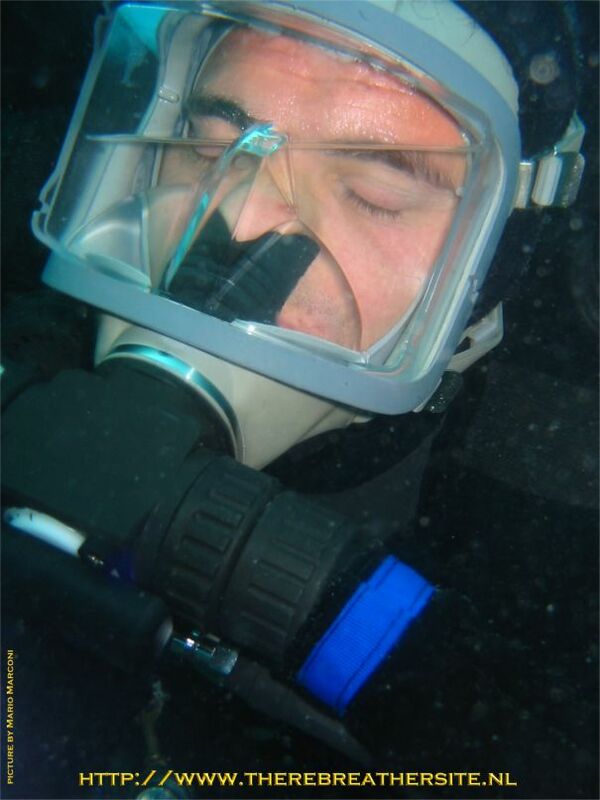 Gabriele is a very experienced rebreather diver diving Italy. 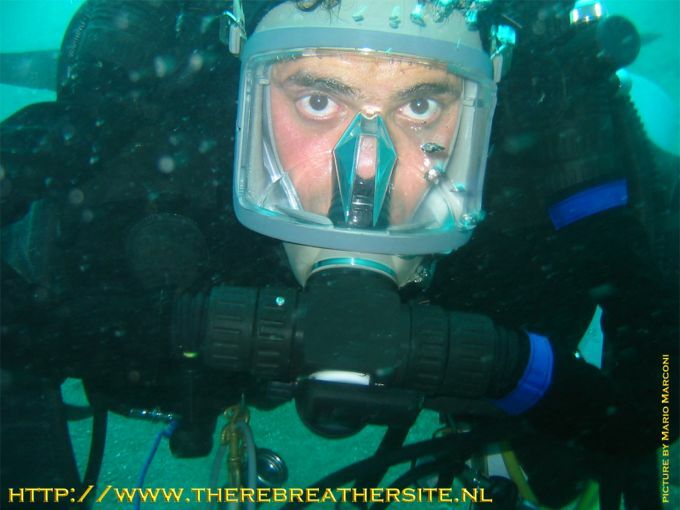 He has got a enormous experience with all kind of rebreathers. Imagine you have knowledge about Dolphin, Ray, Inspiration, Cressi Sub and so on... It is very nice to read Gabriele is diving a Inspiration like....me. Gabriele made a modification to his unit resulting in a bigger safety diving rebreathers. 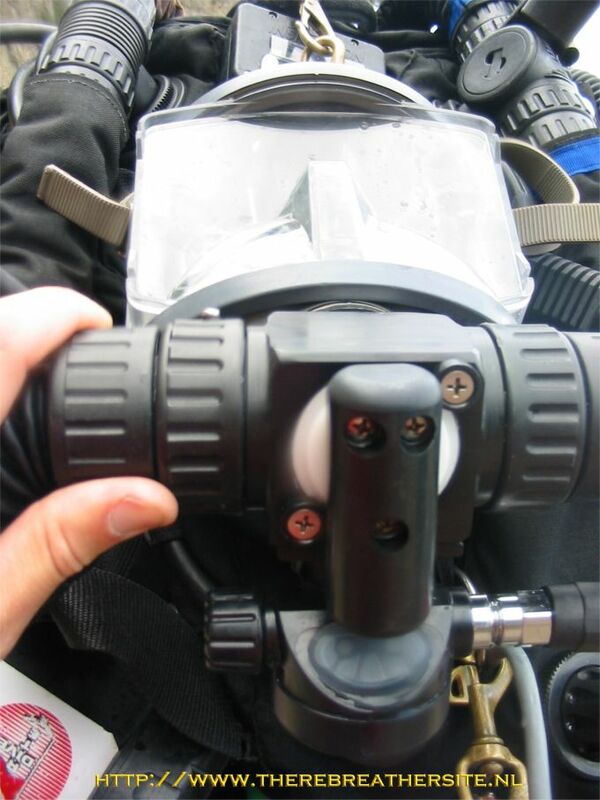 It is very difficult to find the optimal configuration using the rebreather with a full face mask. Therefore I think this article contributes to the safer use of rebreathers. I would like to thank Gabriele Paparo for his appreciated contribution to my website! Well, first of all, I am a diver since 1992; My passion grew up and I decided to become a commercial and military diver in 1994. Actually I did both but finally I ended up in the Italian Navy. 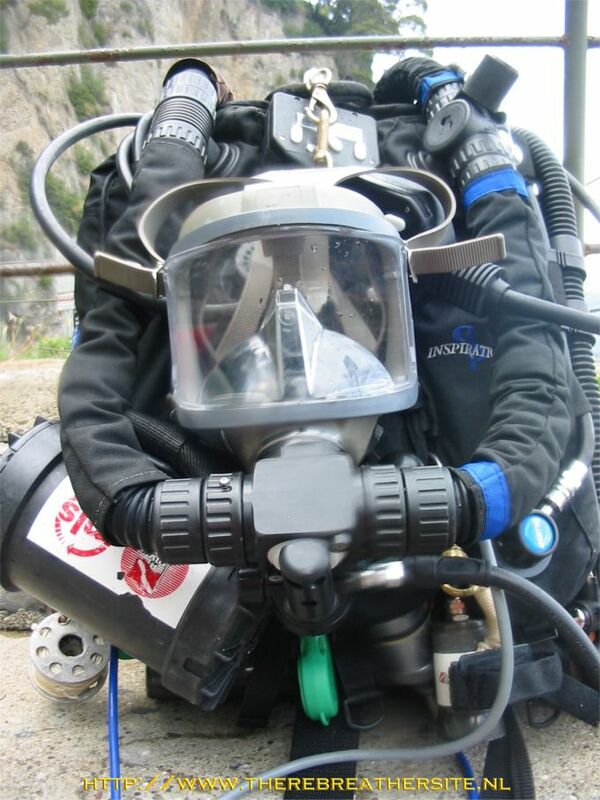 I am still active duty in COMSUBIN the navy divers base in La Spezia in Italy. My first training on rebreathers was on 1994 in the navy divers school: I used the Dräger FGT/1D and the Cressi Sub Oxygen Rebreather. I never stopped to dive recreational and learnt and learnt until I finally reached the level of making technical dives. I became PADI instructor in 1998 and Tek instructor in 2000. I am actually PADI MSDT, TSA Trimix/Nitrox/Rebreather Instructor Trainer, TDI & IANTD Inspiration Instructor. I can also teach Dräger Dolphin and Atlantis and the OMG Azimuth. I dive about 100 dives a year, most technical dives (99% made on a rebreather). I bought a Dräger Dolphin, an Inspiration, and a IDA71y and a Dräger Ray. for example Carleton Viper, Divex Stealth, OMG units and more. I decided to modify my Inspiration to a FFM configuration after I dove the Divex Stealth. I think it is very important to dive FFM on rebreathers. There are several reasons as you might know. I’m sure you understand. I bought a used FFM in 2004 and I shipped it to Tracy Robinette of Divematics in California USA. I asked him to add a OC/DSV unit to the mask. He did a very good job but it took some time to get it back! At first the FFM was delivered with an Oceanic second stage; I immediately noticed that it was not working properly. I think it is because it is a balanced second stage. So I asked Tracy to sent me a different second stage, he was very quick in delivering me a better regulator; a Aqualung second stage. Now I dive my FFM with a Aqualung regulator and it works really good. The breathing resistance on OC is pretty good even if you switch to normal air at 40-45 meter. Deeper than that it is pretty hard to breath (on normal air). 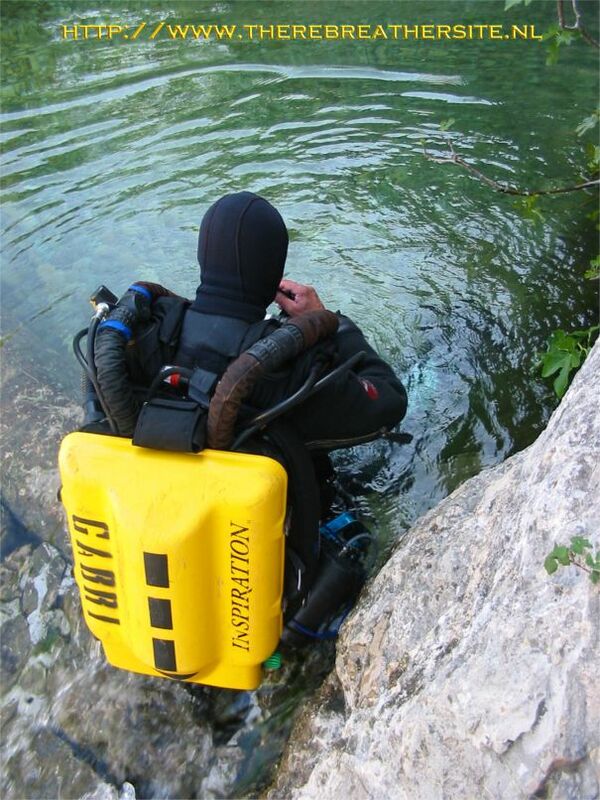 If you dive deeper of course you are diving Trimix with less density and less breathing resistance. I decided to put a quick connection system on my LP hoses in order to be able to switch from bottom gas to deco gas in case of a Bail Out situation. I bought the GSC from Ambient Pressure Diving (2 female and one male connector on a 45cm LP hose). I did not like the GSC due to the fact the breathing resistance is to high, resulting in difficult breathing even in 25 meters of water! in addition is pretty hard to disconnect and connect the hoses. I found a different company in Italy who makes same connectors and I am planning to change my hoses to this new system. Janwillem, the part from Tracy looks very similar to the KISS valve, like you said. I don t know why. I just can tell that it works great, very easy to switch, easy to make a predive check of the inspiration. After few dives I decided to remove the oro-nasal mask from AGA FFM. It was just unusable. No reason to keep it in the mask. I want to be sure that you know that I HAVE A MOUTHPIECE in my mask. I was very detailed with Tracy and I told him that I wanted a mouthpiece. It is very important to have it in order to avoid CO2 retention inside the mask, in order to avoid to flood the loop in case of mask flooding. I can still remove from my mouth and talk... I will bite it again when I finish talking. The Breathing resistance on my inspiration is just a little harder (I assure you that it is just a little bit). I equalize this difference keeping my Counterlung a little more inflated than normal. (I am used to use my Counterlung really empty...just enough to let me breath). 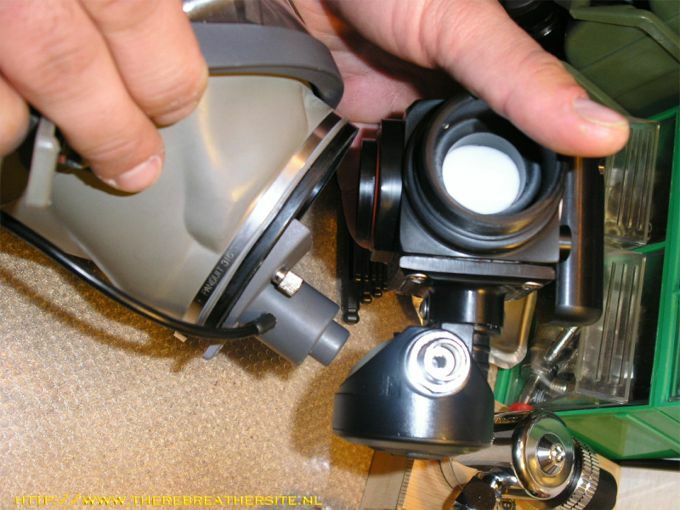 It is very easy to clear my FFM both on CC & OC: I have installed a purge valve in the bottom of the rubber part of the mask mounted on the left hand side. You can keep breathing without any problem even in a complete flooded mask (because of the availability of the mouthpiece). the water goes out really easy till the mask is dry just exhaling from the nose keeping the right position with your head. My ideas worked out just fine! With my mask I am very confident that no water comes in; I feel very safe diving it. A cold face and lips are a past problem. The only thing left I have to do is to replace my Low pressure connectors in order to dive my mask very deep. It is a pleasure for me to share this with you. Gabriele, thank you very much for contributing to my website!